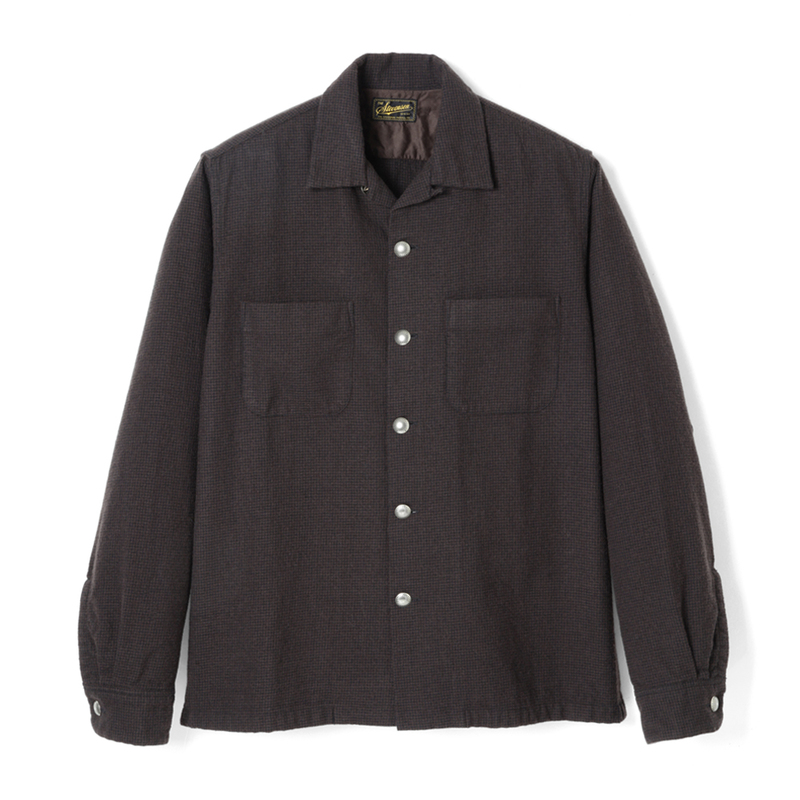 Based on a open-collared box type shirt style that was popular during the 1950s, the original details include concho buttons handmade in America. 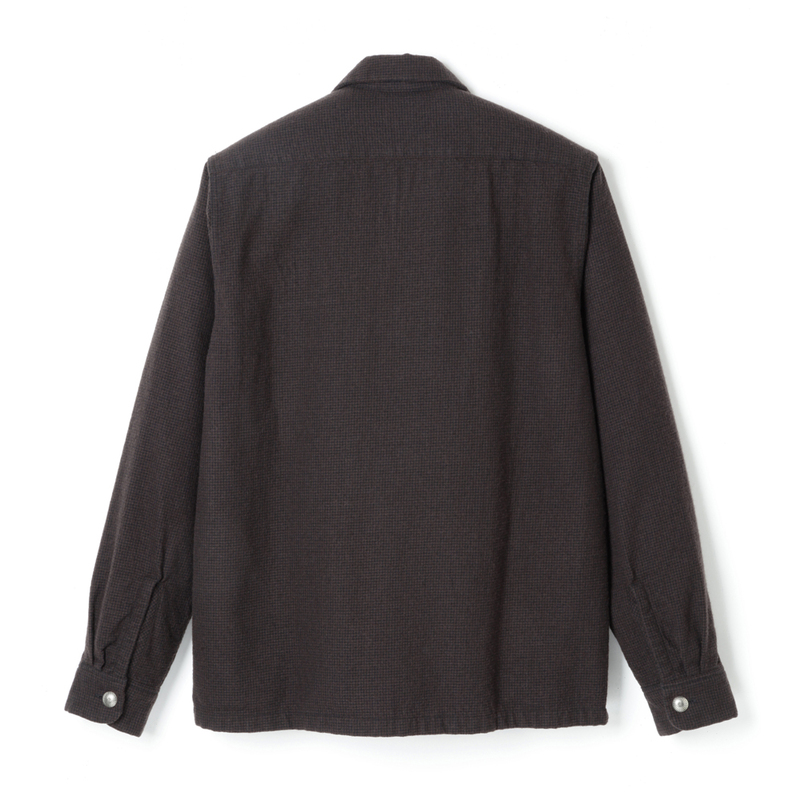 With its sleek and mature look, the shirt can be paired with both chino pants and jeans. 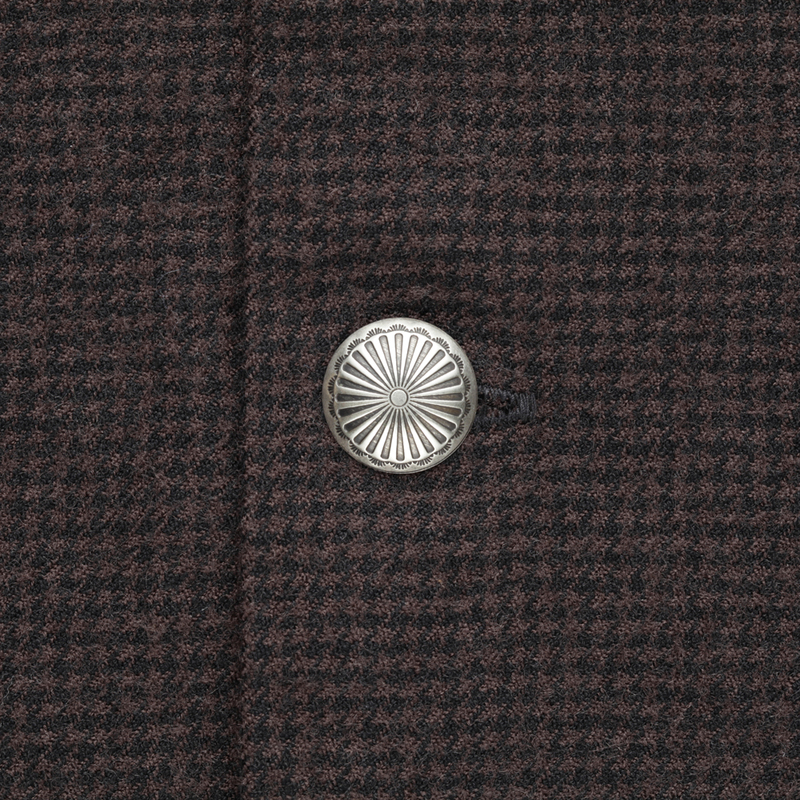 The blended cotton and wool fabric features a rough and uneven texture and the standard detailed hounds tooth check pattern gives off an authentic vintage vibe.